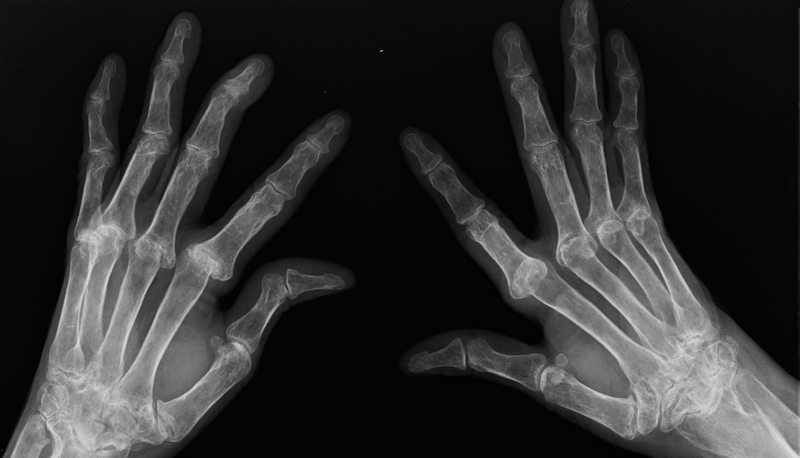 The traditional diagnosis method of Rheumatoid Arthritis (RA) consists in the evaluation of hands and feet radiographs. However, still for medical specialists it turns out to be a complex task because many times the correct diagnosis of the disease depends on the detection of very subtle changes for the human eye. In this work, we developed a system based on Artificial Intelligence (AI), using Convolutional Neural Networks (CNN) for the automatic detection of RA from hand radiographs. The model efficiency is measured with 15 cases achieving an accuracy of 100 %. Results of the experiments conducted, showed a superior performance compared to similar state-of-the-art systems reported in the consulted bibliography. This model would be useful for Cuban medicine as a diagnosis tool. BETANCOURT-HERNÁNDEZ, M.; VIERA-LÓPEZ, G.; SERRANO-MUÑOZ, A.. Automatic Diagnosis of Rheumatoid Arthritis from Hand Radiographs using Convolutional Neural Networks. Revista Cubana de Física, [S.l. ], v. 35, n. 1, p. 39-43, july 2018. ISSN 2224-7939. Available at: <http://revistacubanadefisica.org/index.php/rcf/article/view/RCF_35_1_39>. Date accessed: 19 apr. 2019.